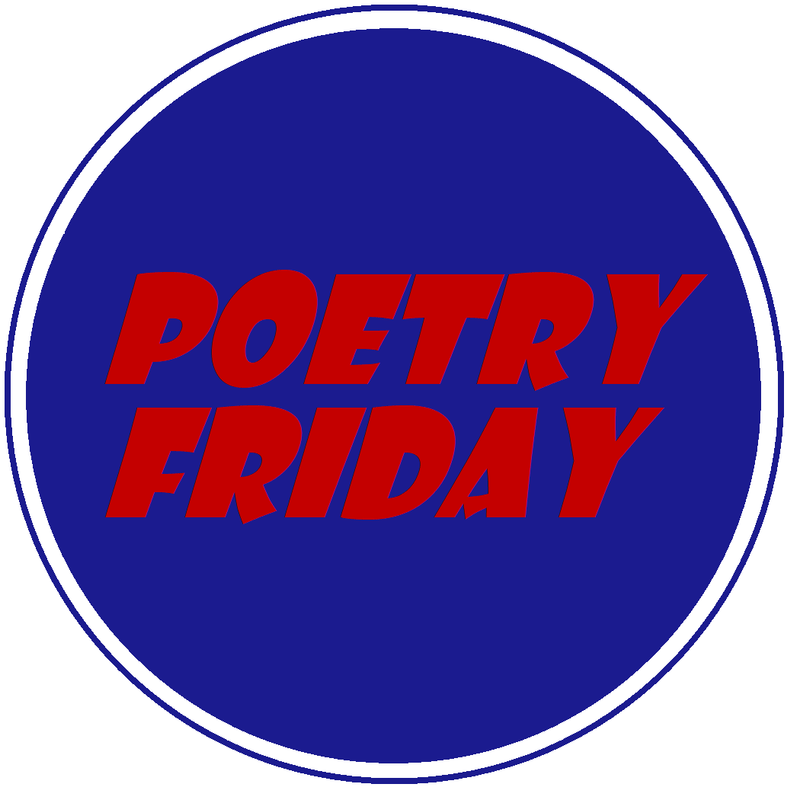 Hello and Happy Poetry Friday everyone! I hope that you have had a marvelous week. Mine has been filled with ups and downs, but mostly ups. One of the highlights of my week was the poetry swap package I received from Jone Rush MacCulloch. She wrote me a beautiful poem about artichokes. 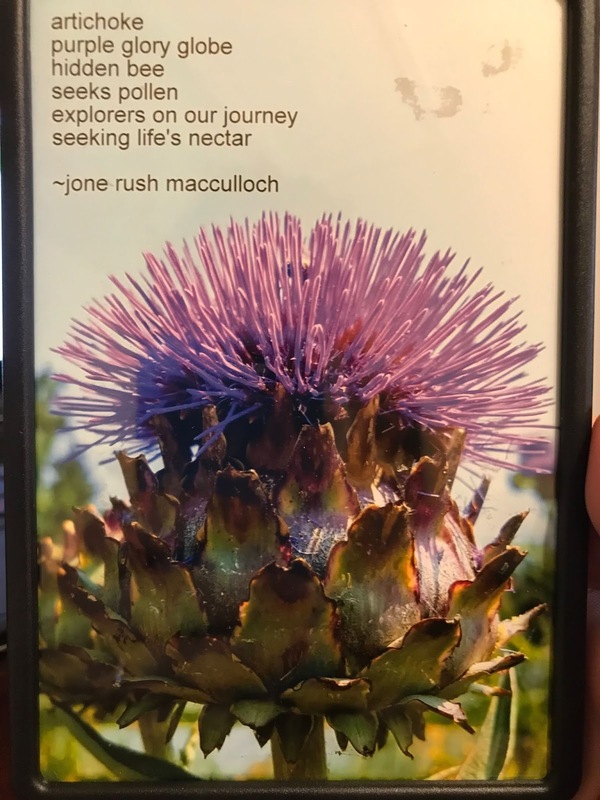 I had no idea that the artichoke was a species of thistle! And the thistle is my 2nd favorite flower (behind the dandelion). I just love how prickly they are, but how vibrant and beautiful the purples can be. Thank you, Jone for the poem! I am keeping it on my fridge so I can smile everyday. Oh my. Who even knew that artichokes flowered??!? That's amazing! And a thistle… I too am amazed! How cool that dandelions and thistles are your favorite flowers! I like both of those, and clover (especially red). Weeds are underrated :-)”Explorers on our journey” is lovely, and so is keeping poems on the fridge! Lovely! I had no idea that artichokes flowered. I'm loving that “purple glory globe”! Great for a “mostly ups” week. Jone has a keen eye. Thank you so much for sharing! Oh, that is a knock-out poem. I'm with Irene. 'purple glory globe' is perfect and makes me want to come in for a closer look.By any chance, have you received another little swap….perhaps the colors of blue and gray? I hope so. If not, let me know. Yes! I thought it was so cool. I had no idea that we eat the flower part! I completely agree that weeds are underrated! I just checked my mail! Yes! I'll send you an email. Thank you!!! I love it! I agree–that was probably my favorite line. It makes me want to grow some artichoke so I can see it in person. I had no idea artichokes were part of the thistle family! “Purple glory globe” is a stunning image! Thank you for sharing your treasure with us! My two favorite flowers are chicory and Queen Anne's Lace! I'm so glad you enjoyed this. So fun to write. Thanks for sharing. Artichokes have the most beautiful flower, and Jone takes most beautiful pictures, writes those images to “see” them more than the picture. That “purple glory globe” is wonderful. Oh wow. That 'purple glory globe' is perfect. And, like you, I had no idea that the artichoke was a kind of thistle. You learn something new every Poetry Friday! A gorgeous image and lovely poem, I've always liked thistles and artichokes too, thanks for sharing them!